As we reported a few weeks back, super producer and Happy camper Pharrell Williams has teamed up with Dutch denim masters G Star RAW for an exclusive capsule collection entitled “Raw For The Oceans”. Constructed from environmentally friendly 'Bionic Yarn' which is spun from discarded ocean plastic, the collections name sits perfectly. 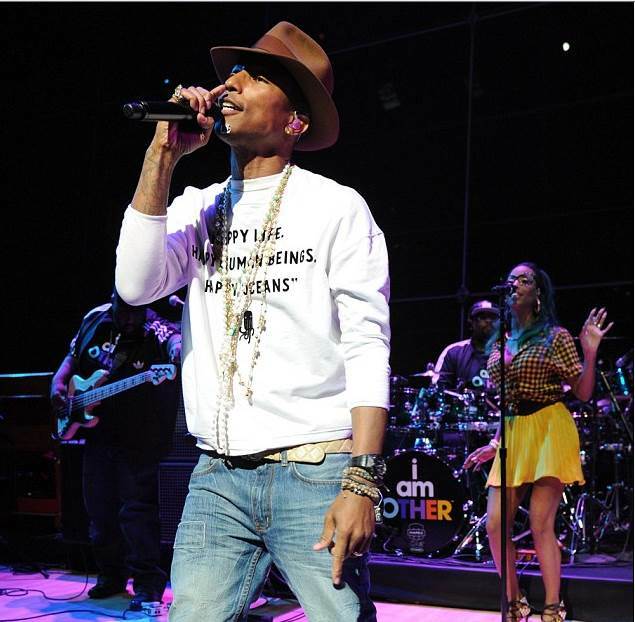 We've already spotted Pharrell rocking some of the product and so far we like what we see. The collection promises to stay true to G Star's unique denim influenced designs while complementing Pharrells unmistakable street style. The collection doesn't drop until August but keep your eye on Mr Williams and what he's wearing if you want to catch a sneak peak of what’s coming. New sweatshirt and denim combo from RAW For The Oceans. While we wait for this collection to drop we're more than 'happy' (intentional cheap pun) with G Star's Palm Collection. Click the image below to shop this summer inspired collection.